Library Research Methods: What are Academic Resources? 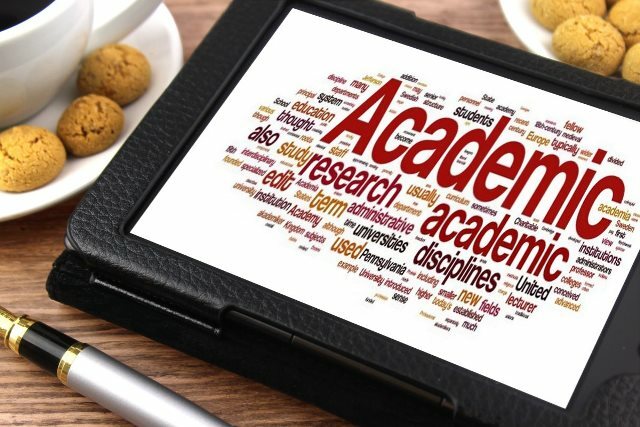 For academic coursework and research project assignments, it is best to use scholarly or professional resources that are reliable, accurate, and valid. Generally, these types of resources are books and articles that are reviewed before publication, but may also include media and websites from authoritative organizations and institutions. When you conduct a research project or write a paper, you will read articles to see what others have done and then build upon the work created by scholars and professionals. Scholarly Journals - A scholarly journal publishes authoritative research articles by academics or experts in a discipline. Scholars share their research with each other through the articles they publish in these journals. This is called scholarly communication. The articles submitted for publication undergo a rigorous review process before being accepted for publication; many use a system called peer-review, that is they are evaluated by other experts who determine if it is an authoritative, valid, original and significant contribution to the field of study. Trade Journals - Professionals in a particular industry share their knowledge and experience with each other in journals and magazines that are usually edited and published by a professional trade association. These articles report on trends, events, innovations, and provide advice for professionals from experts in the industry. These resources are available in Libraries and found through searching Omnivore BookSearch for books and Omnivore ArticleSearch or subject databases for articles. If we do not have a book or article in the CIA Hilton Library, we will get it for you through Interlibrary Loan. Primary sources are the raw materials of research. Types of materials can include items such as manuscripts, documents, diaries, letters; audio and visual media such as photographs, sketches, recordings of interviews; and physical objects (artifacts of material culture) such as tools, utensils, pots, clothes, quilts. Learn more about primary sources. Tertiary Sources are publications that summarize or, in other ways, present the information found in secondary sources. These include textbooks, encyclopedias and other reference resources. These are useful for selecting a topic and getting background information, definitions of terms and concepts, and brief descriptions of key aspects of topics.